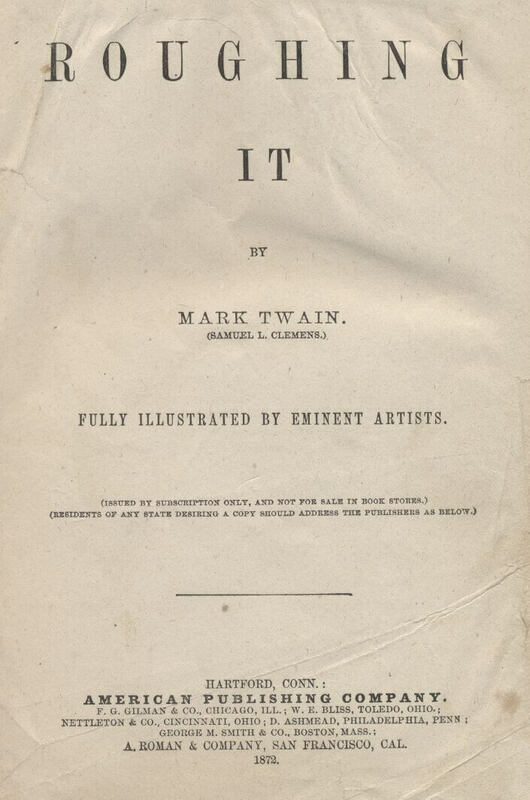 Roughing It (1872) was one of Twain's celebrated, autobiographical novels, embellishments of his many adventures silver mining, "vagabondizing," including an overview of Mormonism, set in the Far West, particularly in the wilds of Nevada, all the way to the Hawaiian Islands. 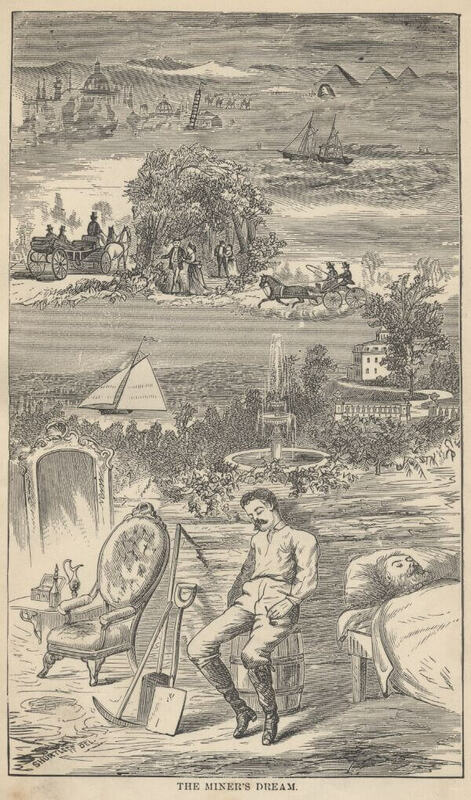 Many of its stories have been anthologized, such as Lost in the Snow, and his essay, Roughing It. Chapter XI - Slade in Montana - "On a Spree"
Chapter XVII - Three Sides to all Questions - Everything "A Quarter"
Chapter XXXI - The Guests at "Honey Lake Smith's"